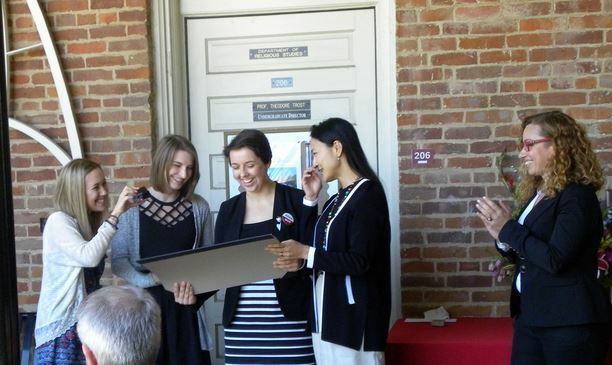 The Department of Religious Studies has greatly benefited from donors who have endowed scholarship funds to support its students (either as merit-based awards or funds used throughout the semester, and at the Chair’s discretion, to assist those in financial need). The names of the students who have received these awards, selected by a faculty committee each year, are inscribed on plaques that hang in the department’s lounge. 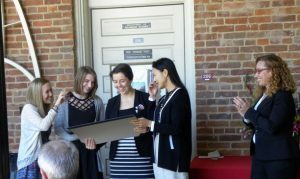 These awards are presented each spring semester during Honors Day celebrations (when the Department hangs banners on the balcony to remember all past recipients of the Silverstein Fellowship). 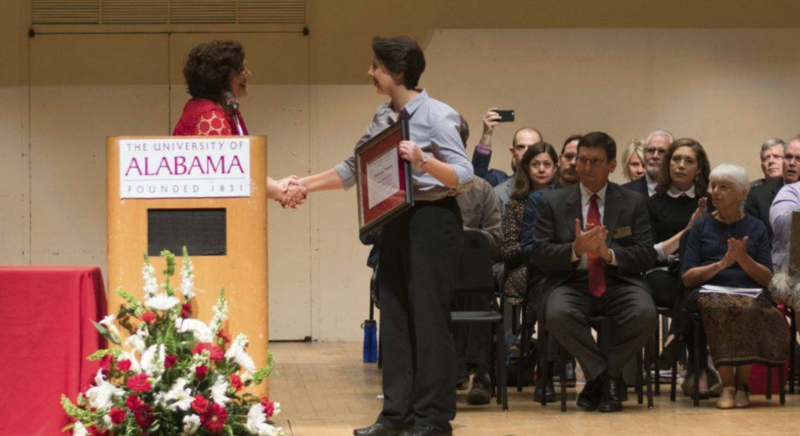 Although some awards are presented at the College of Arts & Sciences ceremony, a few surprises are reserved for the department’s own reception, held on the second-floor balcony of Manly Hall, immediately following the College’s ceremony. All students in our department and their families and friends are invited to attend — to congratulate the award recipients, to have some good food, and to pose for a few spontaneous pictures.